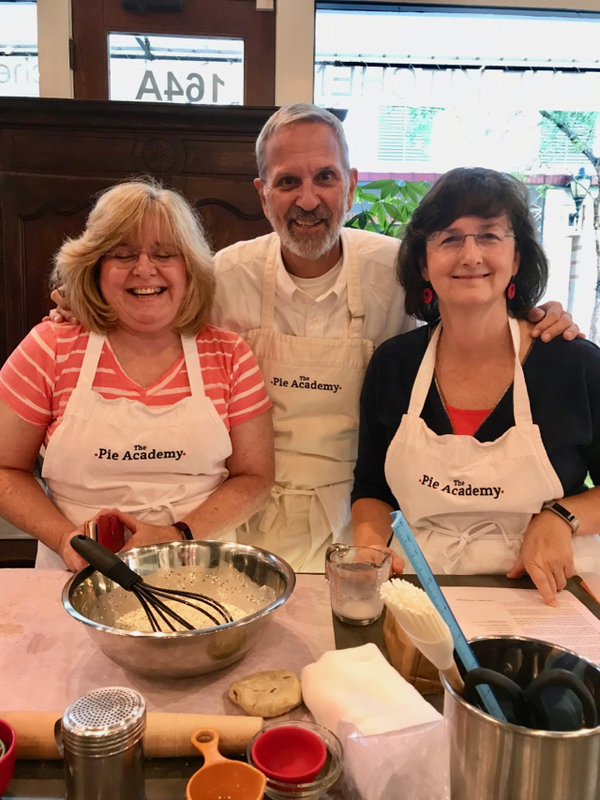 This past weekend, October 12th, 13th, and 14th, The Pie Academy held our signature event in Charleston, S.C., everyone’s favorite southern city even those who’ve never been. This is, of course, the big reason we hold our Getaway in Charleston: there’s no place quite like it. Charleston is America’s collective hometown. It has an ineffable pull on anyone who can imagine a time and place where life was a bit slower, a little more sane and genteel, when people stopped on the street and exchanged pleasantries just because. There are other reasons we come to Charleston. Our kitchen for the weekend, owned by our friend chef Bob Waggoner, has yards and yards of counterspace and more ovens than we need. 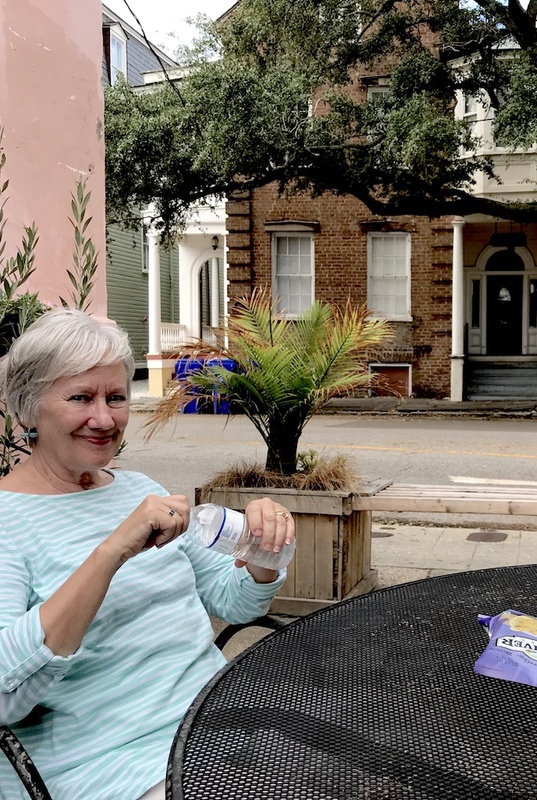 My wife Bev lived in Charleston for 25 years, so it’s like coming home when we’re there. The list goes on. Michelle S. and Beckie can’t seem to keep their fingers out of the pastry cream. These photos offer a taste of our Getaway, but if only you could listen to the chatter. 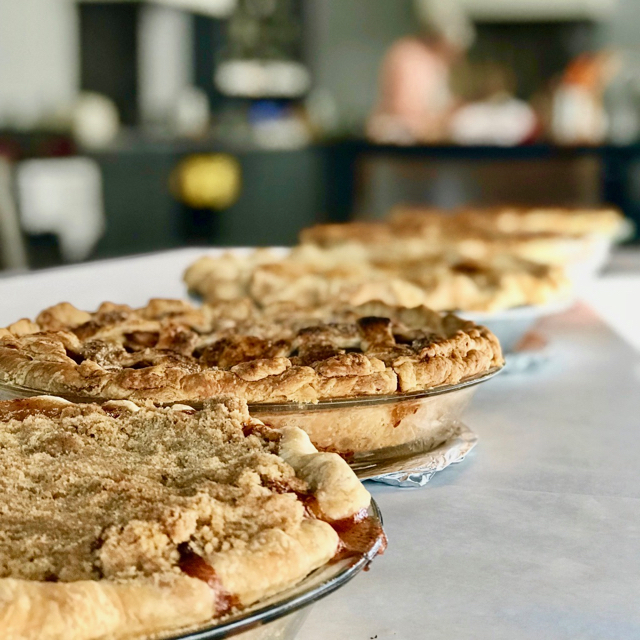 How many times did I hear someone say how gratifying it was to share the weekend with fellow pie lovers…that this was an experience they’ll cherish forever…that these new friendships were as sweet and wonderful as the pies we made, and we made some really good pies! Demonstrating the finer points of assembling a Swiss chard galette. To be clear, we came together to practice our craft. 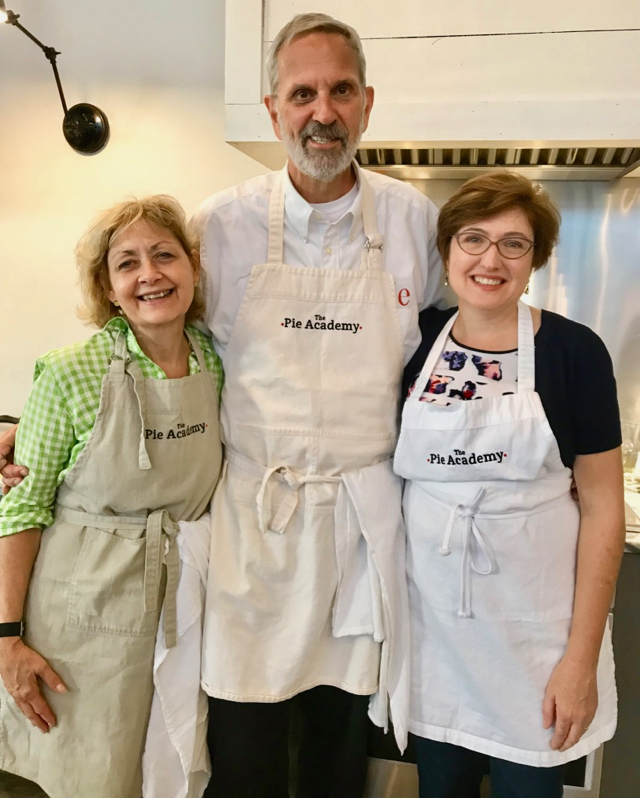 We were there to polish rusty skills, broaden our knowledge and approach to pie making, and – for some – to make our first pies. It always amazes me that a class of such diverse skill levels can meld so seamlessly. We both teach and learn from one another. 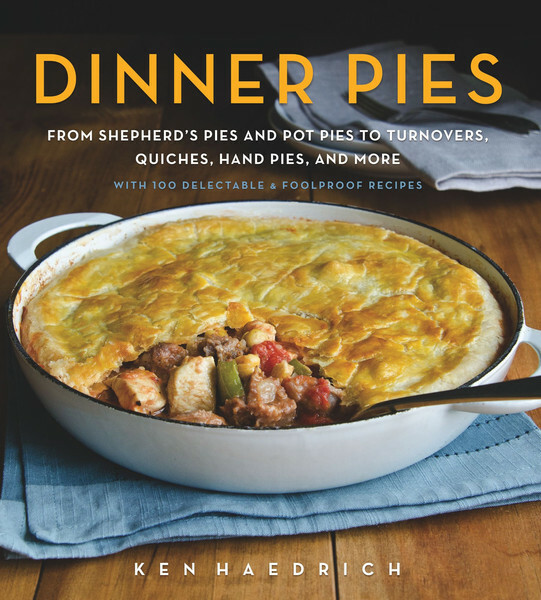 I’m the first to admit that teaching others how to make pie makes me a better pie maker myself. 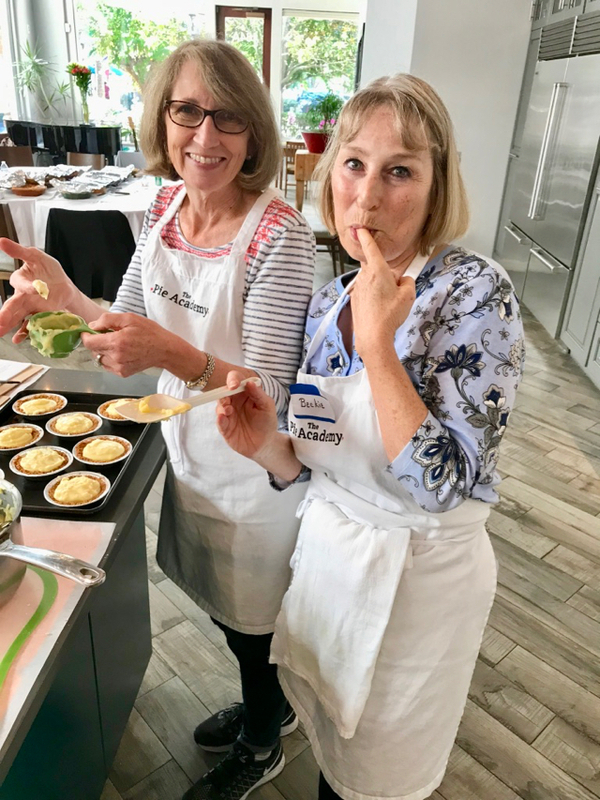 This year I picked up some great pointers from one attendee who made a quiche with almond flour, an ingredient I’ve never used. 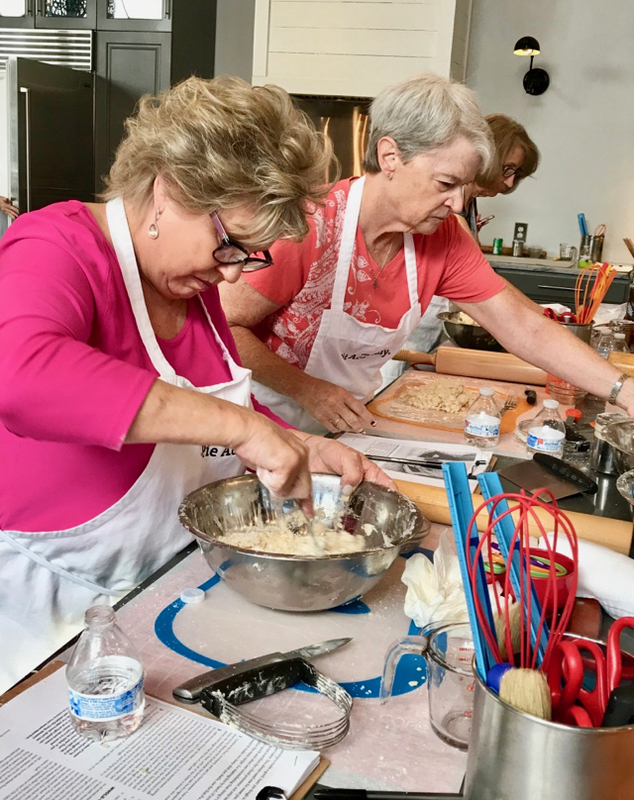 Judy and Jackie up to their elbows in pie dough. For much of the weekend we work in two-person teams with a buddy baker. 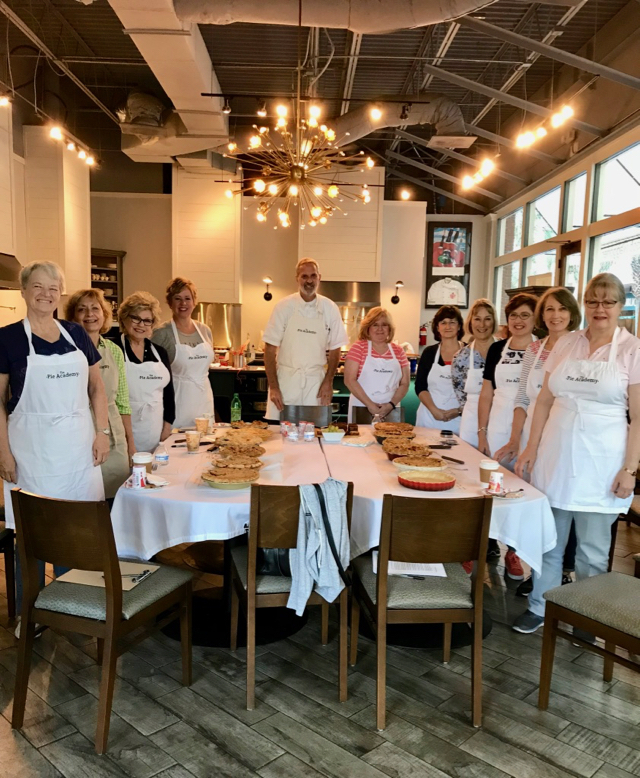 Pie baking is typically a singular activity, but over the years I’ve noticed that teamwork builds confidence and lifts the spirit. We discover, if we hadn’t realized it before, how much fun pie making can be when we share it with someone. It’s a lesson I hope everyone takes home. 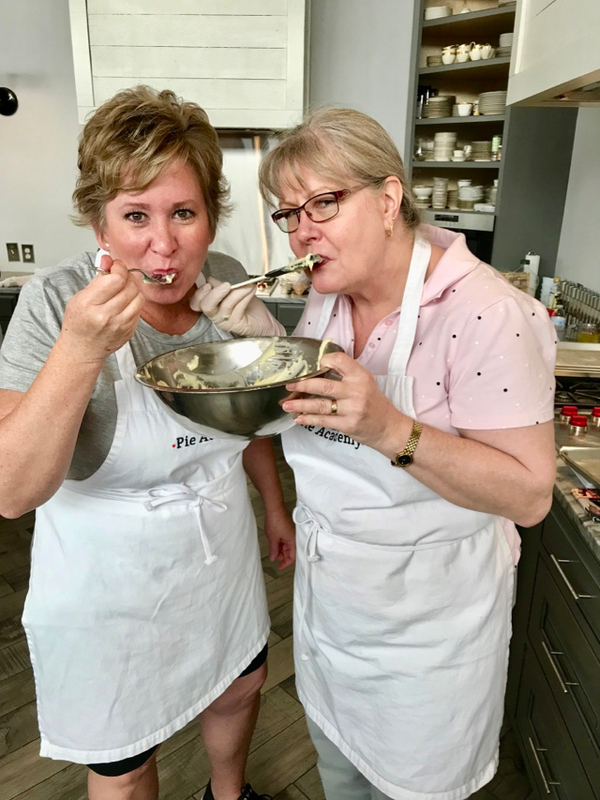 Holly and Kim P. – two more pastry cream scoundrels. 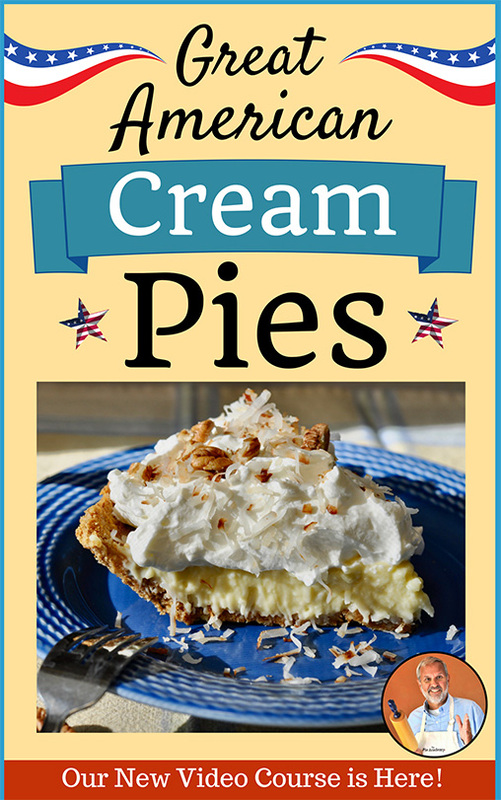 Need I say how popular the cream pies were? I have the best job at each Getaway. 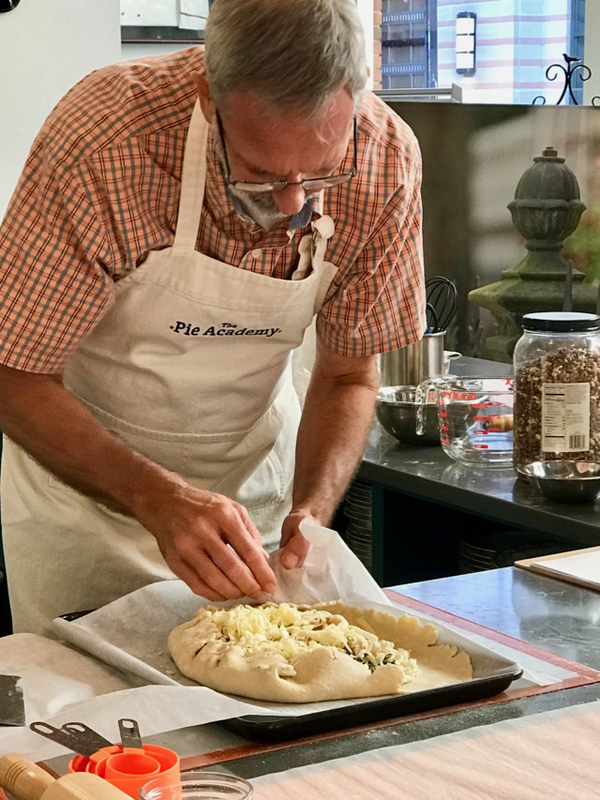 I get to do what I love – make pies, demonstrate techniques, and experience the joy of watching others master skills they’ve struggled with. 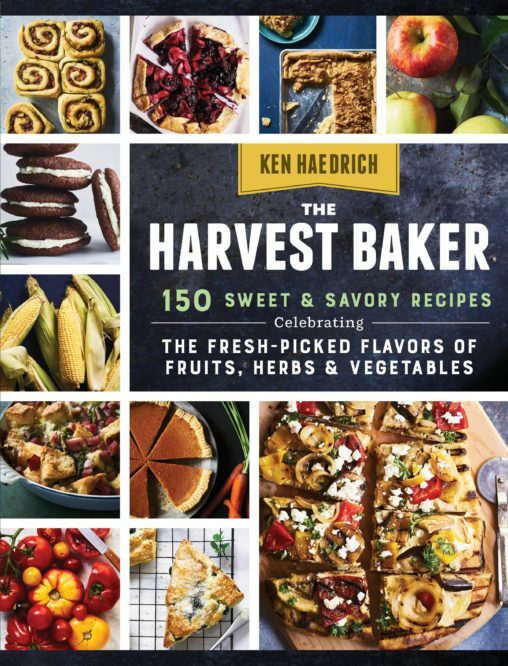 And I get to meet and form friendships with people who have followed my writing and collected my cookbooks, sometimes for many years. A lot of authors never get that opportunity, so I know just how fortunate I am. This was Deb’s (left) third Getaway! Michelle B’s first, and we hope they’ll both be back. When you’re 6’5″ it helps to come down to your students’ level. Here’s N.C. friends Kim W. and Diane. 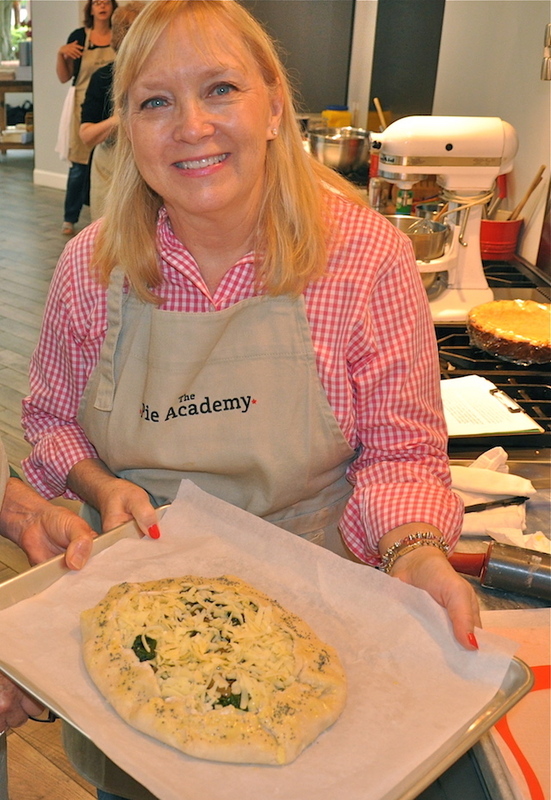 Ginny, our good Pie Academy friend and beaming galette baker. 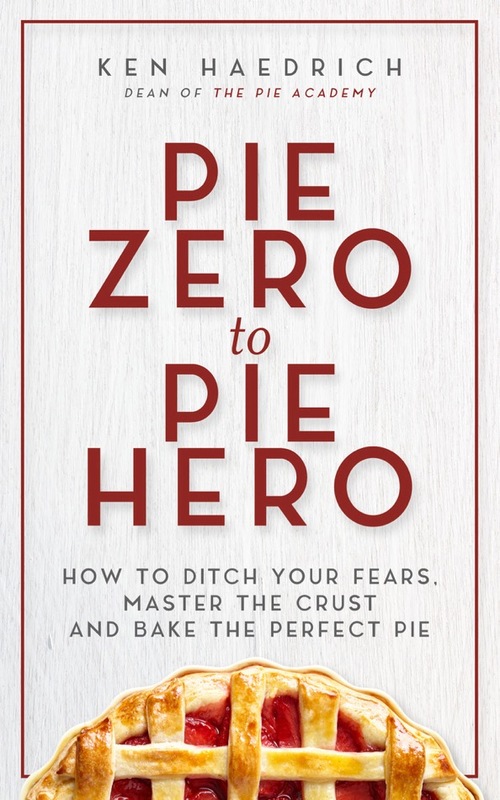 None of this would be possible were it not for my wife and Pie Academy partner, Bev. Bev handles all of the behind-the-scenes details, creates the coveted Swag Bags we give out at the Friday evening reception, and makes our guests feel extra special. She reminds me to preheat ovens, smile when someone takes a photo, and keep my arms off the table when I’m eating. My wife Bev taking a well-deserved break. One of Bev’s job is coordinating our Sunday Sendoff Dinner. Spouses and guests have the option of joining us, so – as you can see here – our number can swell. This was the third year we brought in our own local celebrity chef, Jason Houser, who prepared a spectacular meal for us that included pork loin he had smoked, and locally milled blue grits. Many thanks to Jason, and to our loyal kitchen assistant, Paul, who keeps the kitchen in order as fast as we mess it up. Sitting down to our Sunday Sendoff Dinner. 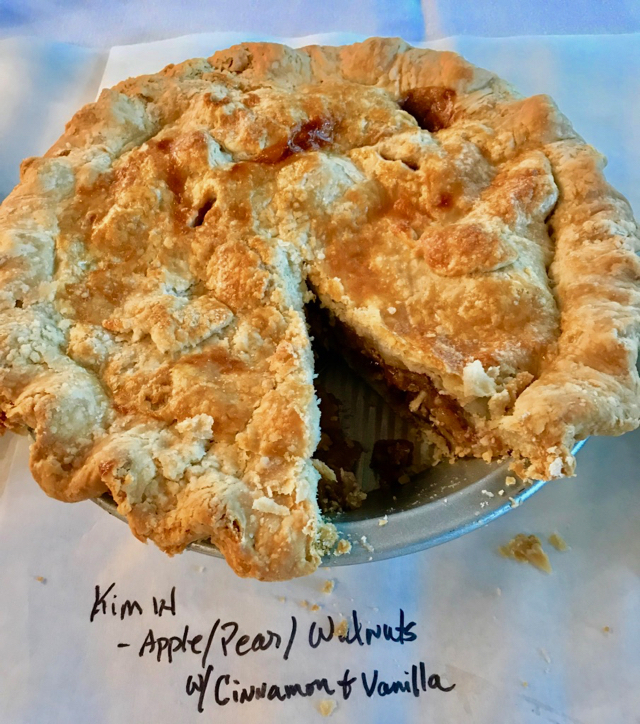 Kim W’s double-crust beauty of a fall pie. This is how we do Sunday breakfast at the Getaway. Ya’ll got a problem with that? Our proud 2018 Getaway attendees. I’m the tall one in the middle. 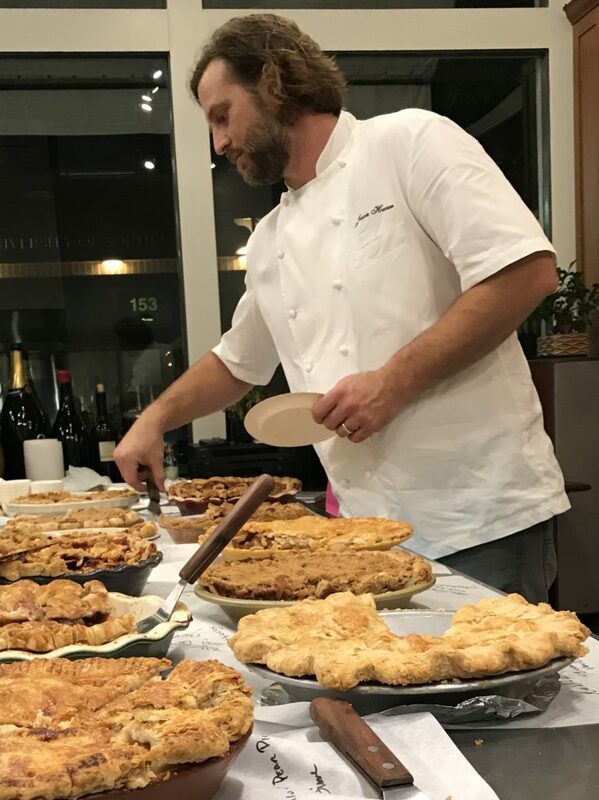 Chef Jason, sizing up our Sunday dinner dessert pies. Thanks to all of you who attended this year’s Lowcountry Pie Getaway. You’re the sparkle that makes the Getaway such a magical event. 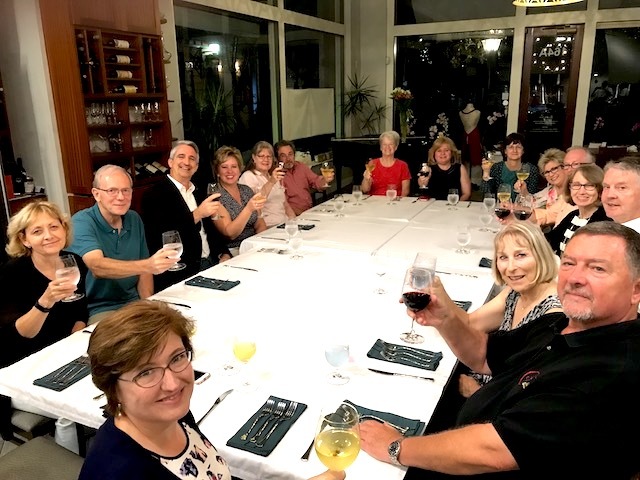 Thanks to any of your spouses and companions who helped make the Getaway a reality. (The Getaway was an anniversary gift for Michelle S., from her husband Gary. Holly had it on her bucket list.) 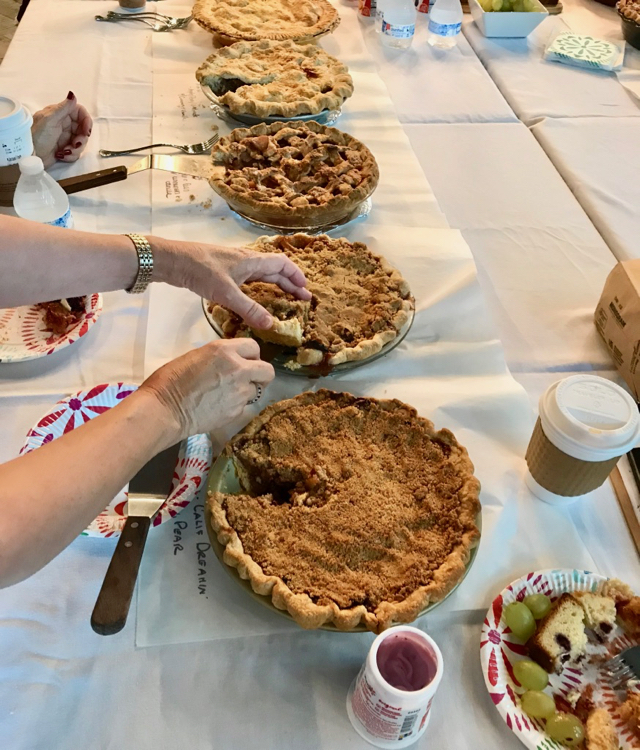 Thanks to our past attendees for your support, and – finally – to all of our Pie Academy friends and members who support this unique community of pie makers.